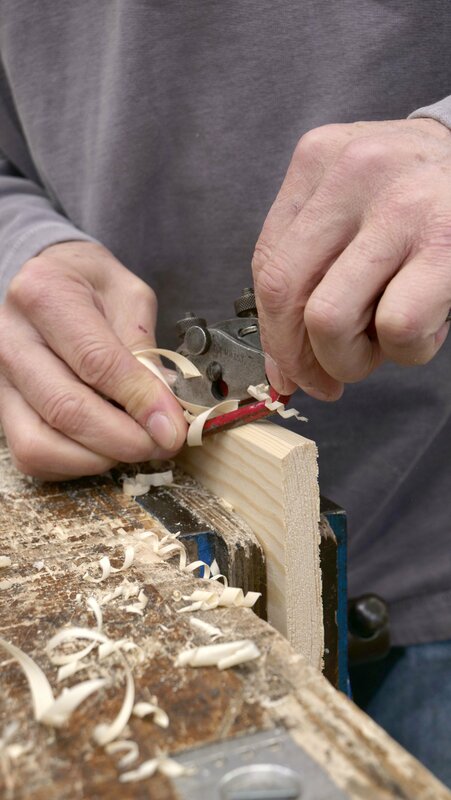 You adjust the blade of the spokeshave to a shallow setting to produce thin shavings and adjust it to a heavier set to take thicker ones. 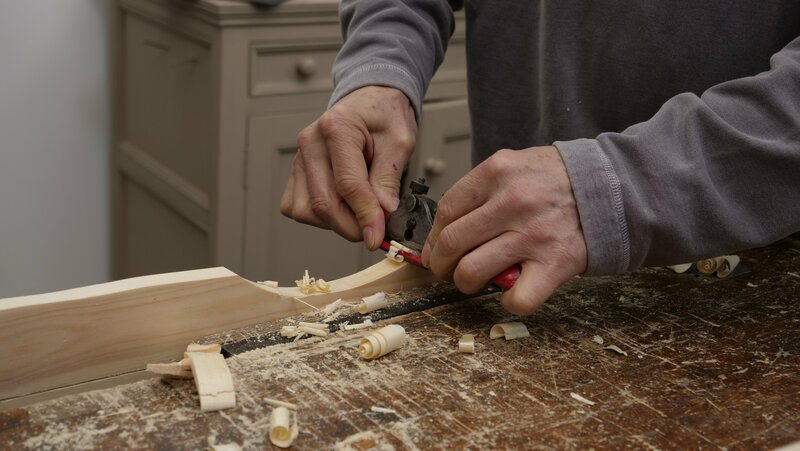 The joy of using the spokeshave is its variable positioning, you can turn the spokeshave to get the angle you need which makes it great working with curves. 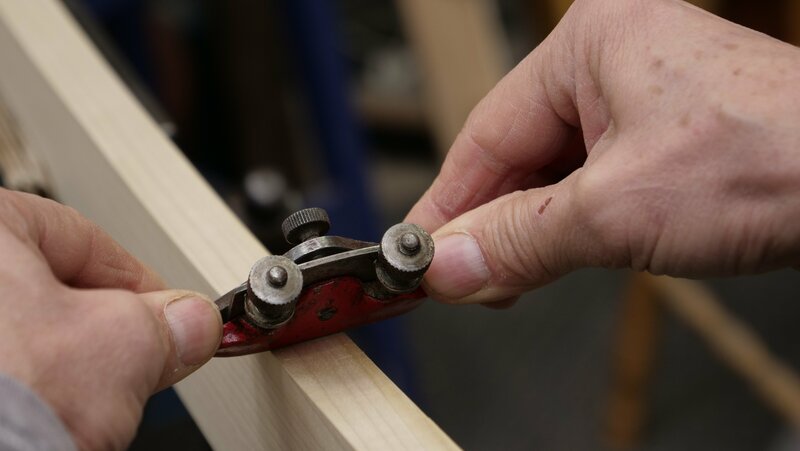 Place your thumbs in the indents at the back of the spokeshave, this allows you to have good control over the manoeuvring of the blade making it easy to use. 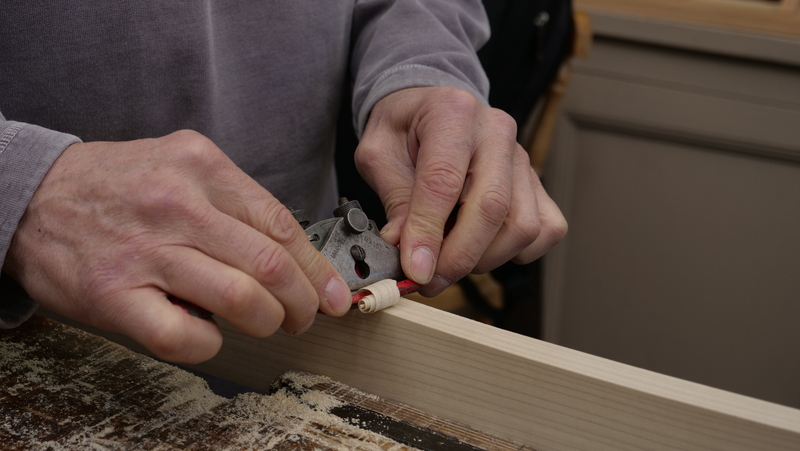 It works on both push and pull strokes but you have to trust your judgement and feel when the blade is tearing the grain then change your course. 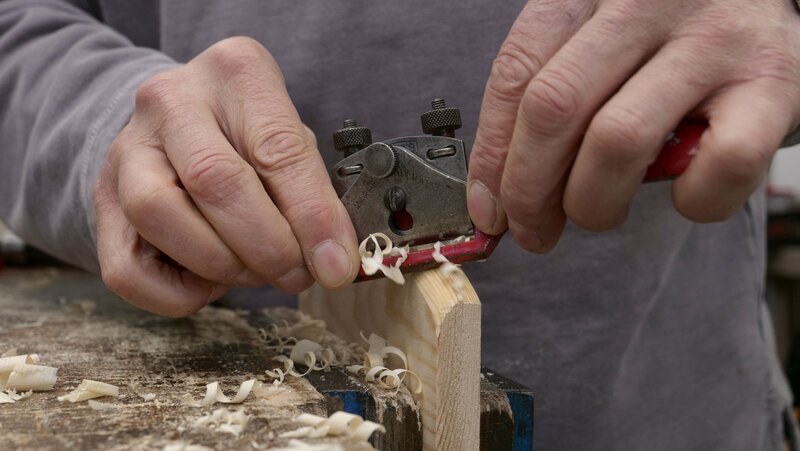 A common problem when using the spokeshave is that the throat can get clogged up with shavings which can affect the quality of your work. The best way to overcome this is to take the blade out to allow the shavings to be released. 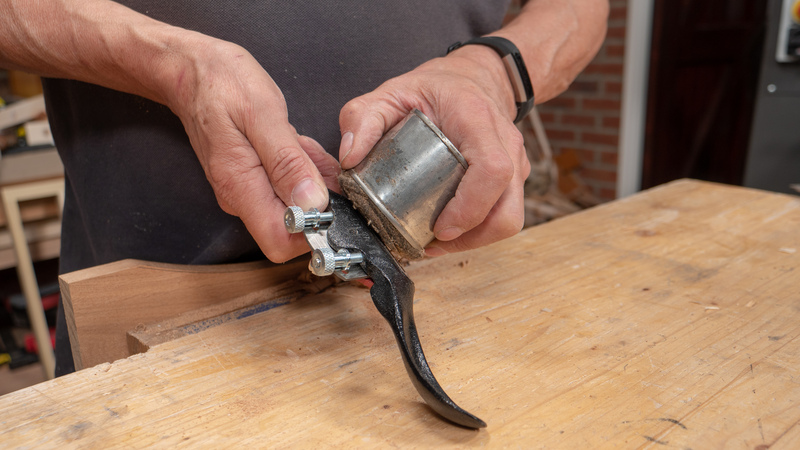 You can do this by loosening the thumb screw which loosens the blade so it becomes removable. Use the indents to rest your thumbs in and drive power forward. By placing your index fingers on the front you have more control. Remove the waste to stop the throat getting clogged up, if you cannot remove the material then take the blade out. 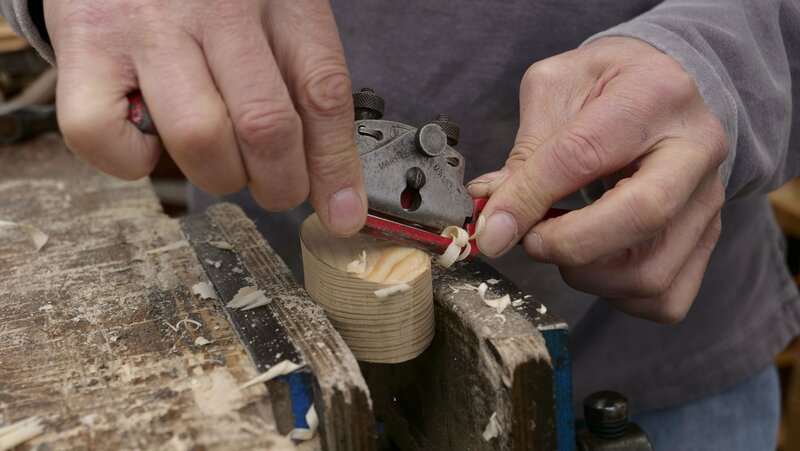 The spokeshave can be used one handed if the other hand is needed to hold the stock. This can easily be used to remove the waste material from an edge. 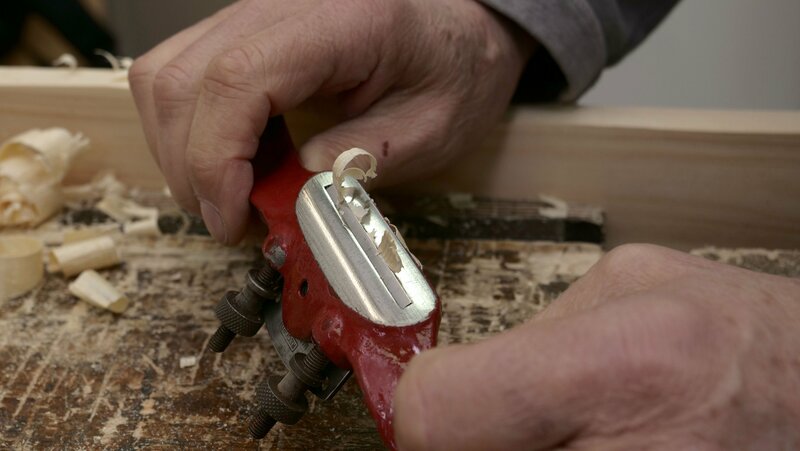 The short sole of the spokeshave allows it to be used on all kinds of curves, even concave curves. 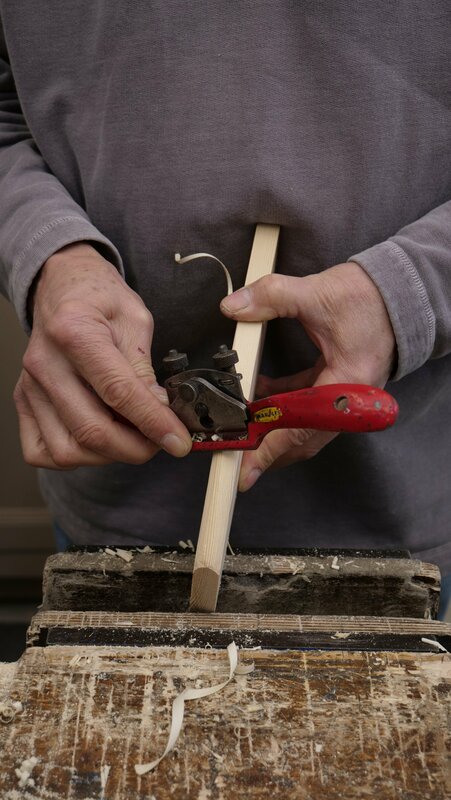 The spokeshave is great for this as it is a fairly small tool that can adapt well to curves.